The Padres are in town playing the Nationals and I really wanted to go to the game. I made plans with one of the girls from the Tri Delta group to go to Vietnam Memorial tonight, but she had to cancel because her new roommate was going to be moving in early. So I got left high and dry with no plans. It ended up working out for the best because now I am sitting on the couch watching the game on TV and there is a bad storm rolling through. The baseball game even had a rain delay. Now there is just thunder and lighting, but I am still glad to be in the comfort of my living room. 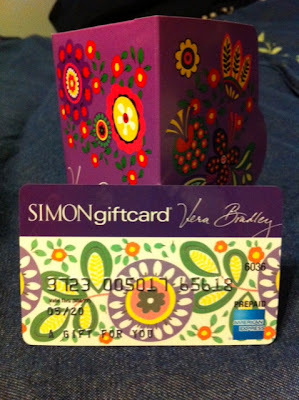 Check out these Simon Gift Cards that feature Vera Bradley prints! They can be purchased by clicking here. Okay, not sure why the picture below is smaller, but it is, so we are just going to deal with it. $1 from the purchase of the Twirly Bird Pink gift card goes to the Vera Bradley Foundation for Breast Cancer. These also go me to thinking that VB should do printed gift cards. I bet people would collect them just like their bags. The green one is nice, but how fun would it be to have a printed one?? I have got a couple of other things to share, but I think that they will get their own posts! 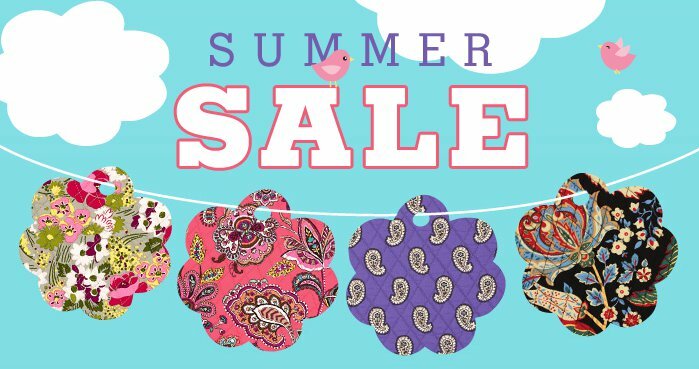 Vera Bradley Summer Sale! Make Me Blush, Call Me Coral, Simply Violet and Versailles! Vera Bradley is having a Summer Sale! The newest batch of colors to go on sale are Make Me Blush, Call Me Coral, Simply Violet and Versailles, so if you love these colors you better get them while you can! I still dont own anything in Call Me Coral, but I am tempted now that they are on sale. It would be such a fun Summer color! Sunday I had some free time on my hands so I decided to head out to the Vera Bradley Outlet in Leesburg, VA. I had a coupon for $20 off a purchase of $65 or more, so that was some extra motivation to drive out there. My Garmin said that it would take about 40 minutes, but it took me about an hour. That is one thing about living in the DC area...it takes longer to get everywhere! In California I would always beat the time that google maps would tell me, but here I have to add time on to my trip. It was totally worth it though! The store had 20% off all bags and totes! Bonus! I picked up some great stuff! I bought a Pleated Tote for my friend Amber as a thank you for driving across country with me! She knows this is coming because I called her to ask what color she wanted :) I really wanted another Hipster to wear around DC this summer when I go check stuff out, so I got one in a color that I think is perfect for summer - Hope Garden. I didnt have a bag in that color yet, so I was pretty happy. The next bag I got kind of surprised me, first because I dont really care for Sittin' in a Tree and second because I assumed that these were sold out - Boardwalk Handheld. It was a limited edition collection made with the Sittin' in a Tree print. The bag is a canvas and has the inside print printed on the outside. It has a nice leather handle and the bag has a sheen to it. I love it! Plus it was on clearance for $16.99 (org. $55). Then I walked past the Audrey bags and I had to pick up one for a special little someone! :) I also picked up two Pocket Papers. And somehow I forgot to take a picture of my Paprika Lanyard. I got it to wear to the Bike MS event we have coming up at work next month. So let me just tell you what a great deal that I got at the outlet! I added up how much my stuff would have normally retailed for and it came to $245! Yikes. But I only paid $104! And that counts the tax that I paid! What an amazing deal, I love a good deal! So I saved 58% off of the retail price. Oh happy day! I have to tell you the women were so friendly and helpful this time around! The first time they didnt seem that interested in me and Amber, but this time I was greeted when I walked in and when I asked where the Pleated Totes were the woman had another woman show me where they were. When my hands got full and I was trying to talk to my mom or Amber on the phone one of them swooped in with a shopping bag for me to load everything up in. Also I really wanted that Paprika lanyard and they helped me dig through the pile looking for one. When we couldnt find one someone found me one from the back. I had a great time shopping there...I just wish that it was closer! Although, I cant really complain about it being an hour away. Plus it is a really nice drive through the country roads. Check out my pictures of my purchases...I forgot to take pictures at the store...oops! All the new bags! Except my lanyard which I forgot to take out of the bag. The Boardwalk Handheld! I love it! The back of the bag has a zipper. The inside is lined with the print that is normally on the outside. Super Cute little Audrey bag! Just got an email that for today (Saturday) only, all online orders will ship for just $5 (ground shipping). Happy shopping! Vera Sighting on Modern Family! Thanks Jocelyn for email it to me since I havent had time to watch Modern Family in a few weeks. Lily is all wrapped up in a Hope Garden Beach Towel...but we have seen that towel before! Click here to see Manny in the pool with the Hope Garden Towel. They love VB on the set of Modern Family. They have had bags hanging in the background and a Weekender as a baby bag. Two of my favorite blogs are currently hosting Vera Bradley Giveaways that I wanted to share with you. The first one is from Pink Martinis and Pearls, she is offering a Boysenberry All Wrapped Up. For your first entry you must be a follower through Google Friend Connect of her blog and you can get extra entries, so head on over and check it out. Her giveaway runs through Monday, May 23rd. Click here to head over to the giveaway at Pink Martinis and Pearls. The second one is a Baroque One For The Money from Katie's Nesting Spot. Katie is celebrating her 1,000th follower!! I can't think of a better way to celebrate! You have until Tuesday, May 24th to enter this giveaway. Same as the last one, you have to be a follower through Google Friend Connect, but you can also get additional entries. Click here to head over to the giveaway at Katie's Nesting Spot. Some of you might be asking what is all this talk about Google Friend Connect, well if you have a google account you already have a Google Friend Connect account, just log in with your normal google account email and password. You will have a list of all the blogs that you read and make them super easy to follow when you are logged in. If you aren't a follower of Oh My Vera! yet, then you should be! All you have to do it click follow on the right hand side of the blog under followers. I love it when blog readers email me fun stuff! Tonight I think that I was sent my favorite Vera Sighting! 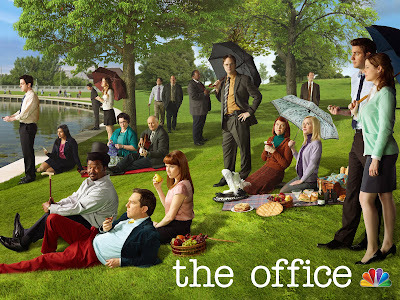 Check out this wallpaper that NBC has available for The Office! 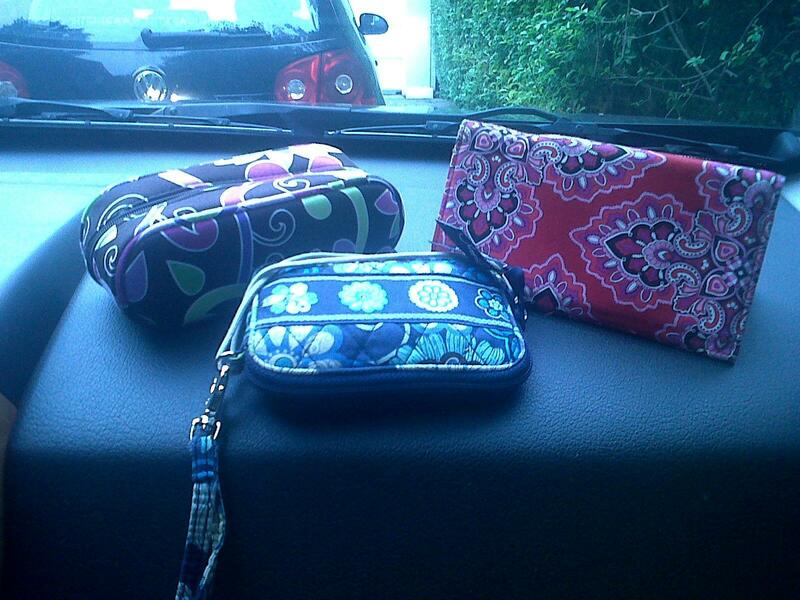 Phyllis has a Cambridge Vera Bradley bag with her, although I cant really tell what style. Click here for the link to check out the wallpaper in full size. Such a fun Vera Sighting! Thanks Jenna! 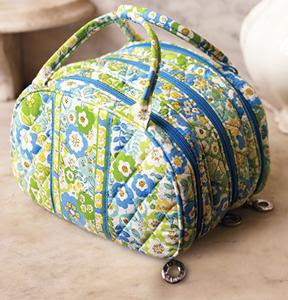 Now through May 23 Vera Bradley has a promotion for the item Three to Get Ready. It is cosmetic bag with 3 compartments, one lined in plastic and the other two with taffeta. It is available in all 4 Summer colors for just $28 (normally $38). It is available at Vera Bradley stores and participating retailers. I dont know the size of it, but it looks a little small to me. I bet it holds a lot of stuff though! Java Blue and Blue Rhapsody are 40% off online and at outlet stores, now through Sunday May 15th. You can also get free shipping online for orders over $100! Mod Floral Pink Large Backpack on Friday Night Lights from a couple weeks ago. We headed to happy hour and I had another sighting. And don't think I didn't think about stealing this one since it was all by its self! A Pink Elephant Large Tic Tac Tote!!! My coworker spotted this one! Capri Blue Vera! Ebates is turning 12 today and to celebrate they have a ton of places that they are giving you 12% Cash Back for shopping at. 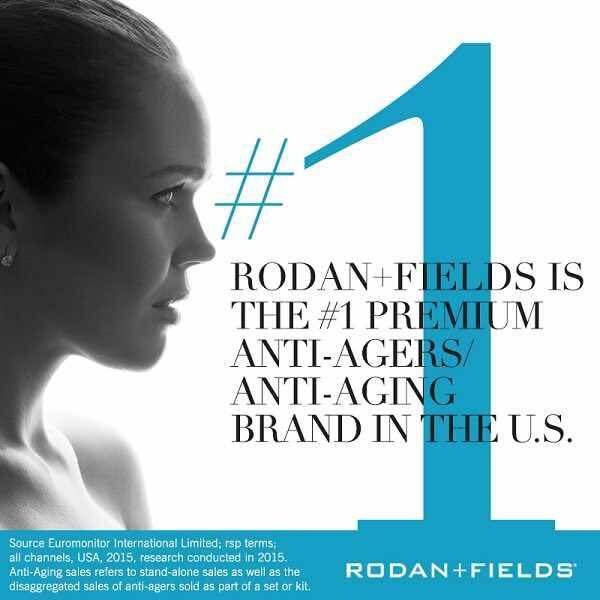 And guess what - Vera Bradley is one of them! So if you are shopping online today dont forget to go through ebates and if you havent signed up for Ebates yet, I dont know what you are waiting for! I really wish this picture came out better. It is a dad carrying a Poppy Fields Baby Bag.